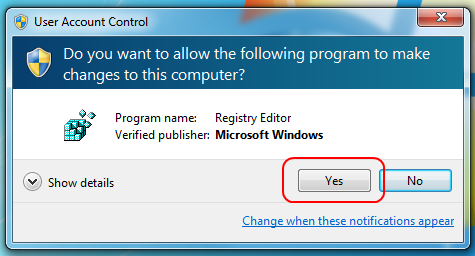 This article is applicable to Windows computers only. If you received an Installation Complete message but VSee still doesn't seem to launch, you can test to make sure it actually did complete installation. If VSee launches and you see the welcome screen (image below), an incomplete installation is likely not the issue, but you can check that the registry files have been installed to be sure. 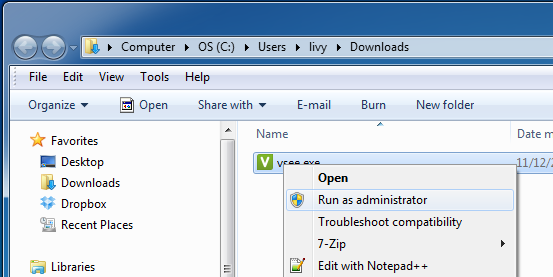 When you install our videoconferencing app, VSee Embedded, the process should add the protocol "vsee:" to the Windows registry (a database in Windows that tells your computer how to use everything on it). 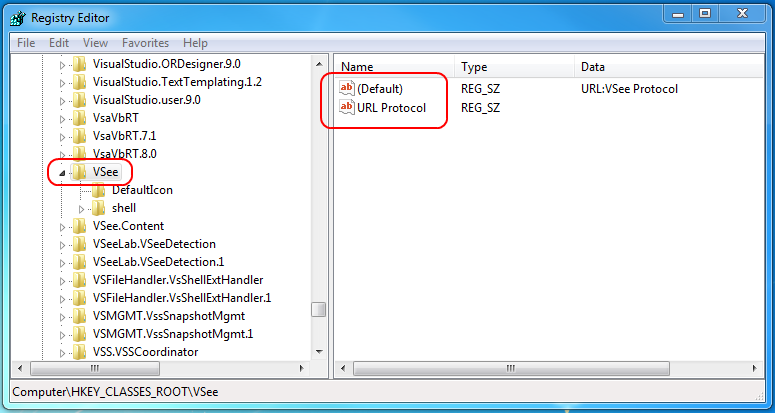 This protocol tells Windows that there is a custom URL scheme called vsee, so when a browser sees a URL starting with "vsee:" (instead of http: or https:), then it should launch the "helper program" associated with this custom URL scheme. 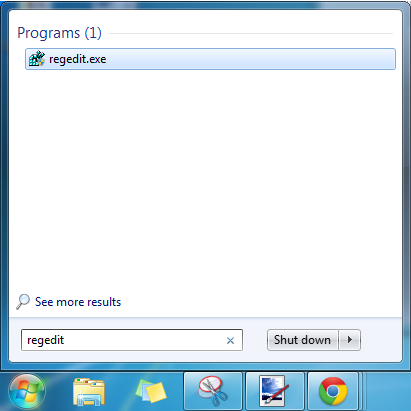 If the registry is not set up properly, then even though VSee is installed, your computer has no idea how to open it. A solution is to Run the executable file as administrator. 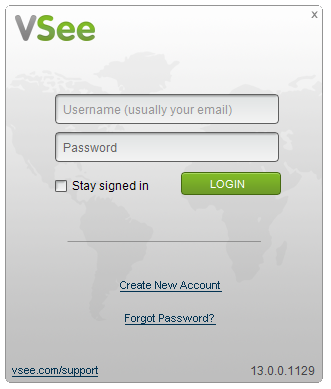 If your computer account does not have administrator privileges, you may need your administrator to use their password to install VSee for you. If your network security policy prevents any file from executing within the AppData folder, your IT team will need to make an exception for "vsee.exe" before it will install completely. 1. 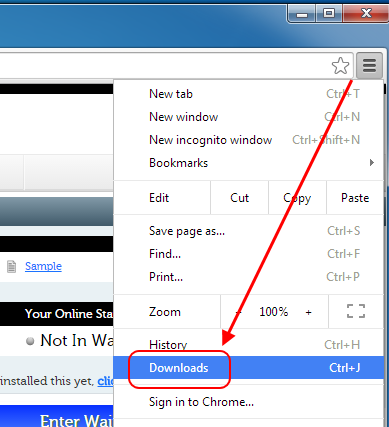 In the upper-right hand corner, click on the Menu icon (three horizontal lines) and then select Downloads from the drop-down menu. 2. 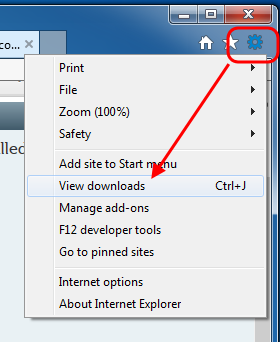 Click on Show in folder. 1. 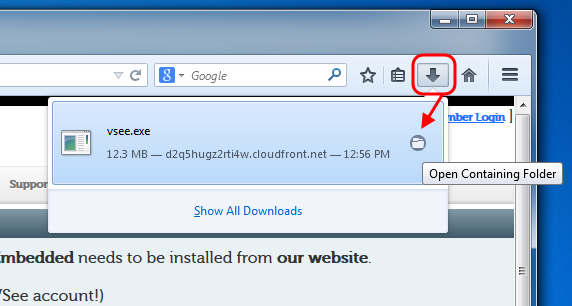 In the upper-right hand corner, click on the Menu icon (looks like a gear) and then select View downloads from the drop-down menu. 1. In the upper-right hand corner, click on the Download icon (is an arrow pointing straight down) and then click on the folder icon to the right of the vsee.exe item. NOTE: Be EXTREMELY cautious when viewing your computer's registry, as accidental edits can cause catastrophic and irreparable damage to your machine. 2. Confirm that you want to open the registry. 3. 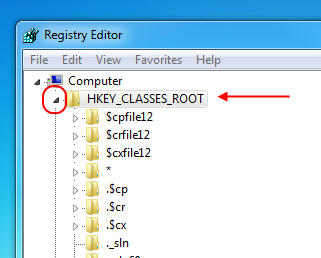 Click on the arrow next to the HKEY_CLASSES_ROOT folder to expand it. 4. Search for the VSee folder. There should two files to handle VSee. 5. 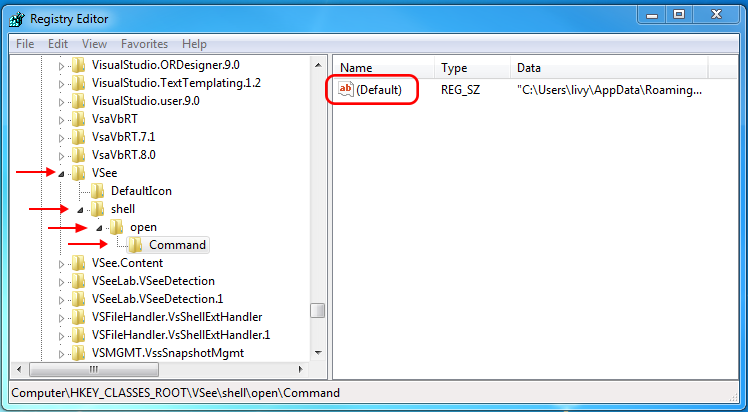 Expand the shell folder, then open, and then Command. This is the command the earlier files map to. If these files are not present even after running the installation file as administrator, please check with your IT team that there are not additional permissions required on this machine. This article was last reviewed by our Support team on November 12, 2014.